Northwest Iowa Community College informs students of the Family Educational Rights and Privacy Act of 1974, as amended. The Act, with which the institution intends to comply fully, was designated to protect the privacy of education records, to establish the right of students to inspect and review their education records, and to provide guidelines for the correction of inaccurate or misleading data through informal and formal hearings. Students also have the right to file complaints with the Family Educational Rights and Privacy Act Office (FERPA) concerning alleged failures by the institution to comply with the Act. Family Educational Rights and Privacy Act permits post-secondary institutions to disclose any and all information from a student’s education records, without consent, to that student’s parents if the student is a dependent for tax purposes under IRS rules. Family Educational Rights and Privacy Act allows institutions to disclose information to appropriate officials in a health or safety emergency, including parents if the emergency involves their child. Parents are often in the best position to help their children during these crises. Family Educational Rights and Privacy Act permits a postsecondary institution to tell parents of students under the age of 21 when the student has violated any law or policy concerning the use or possession of alcohol or a controlled substance. Northwest Iowa Community College hereby designates the following categories of student information as “Directory Information.” Such information may be disclosed by the institution at its discretion. Currently enrolled students may withhold disclosure of information under the Family Education Rights and Privacy Act of 1974, as amended. To withhold disclosure, written notification must be received in the Registrar’s Office within ten calendar days of the beginning of the Fall term, or the term in which the student first enrolls at Northwest Iowa Community College, 603 West Park Street, Sheldon, IA 51201. Forms requesting the withholding of “Directory Information” are available in the Registrar’s Office. Northwest Iowa Community College assumes that failure on the part of any student to specifically request the withholding of categories of “Directory Information” indicates individual approval for disclosure. The official academic transcript record of enrollment credit earned by a student at Northwest Iowa Community College shall be retained by this institution in perpetuity. All student records and documents which are used to create, update, and support the accuracy of the official academic transcript shall be retained for at least three (3) years. These documents may then be destroyed in the manner most convenient: shredding, burning, or burial. However, all appropriate pending requests to review student records and documents shall be honored prior to their destruction. The student records retention policy shall be published in the College Catalog and shall constitute sufficient responsibility for notification to the student. Students who believe that their educational records contain information that is inaccurate, is misleading, or is otherwise in violation of their privacy or other rights may discuss their problems informally with the Registrar. The Registrar may agree to amend appropriate records. If not, the student will be notified within a reasonable period of time that the records will not be amended and will be informed by the Registrar of his/her right to a formal hearing. Appropriate officials and/or student’s emergency contact in cases of health and safety emergencies. 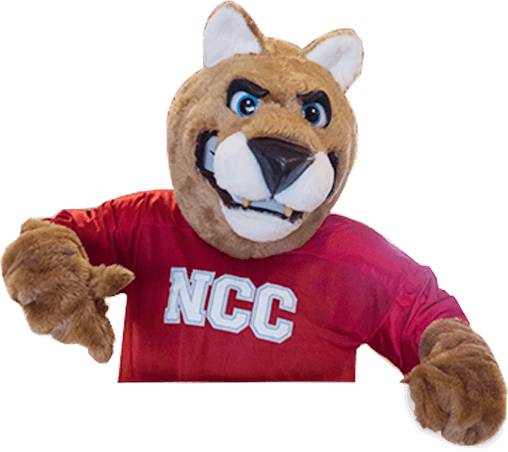 Upon written request to the Registrar’s Office, students who have completed coursework at NCC may request an official or unofficial transcript. Students/former students need to complete a Transcript Release Form which is available in the Registrar’s Office or MY PLACE. There is a $5 fee per requested transcript. Official transcripts will be on official NCC transcript paper and bear the signature of the Registrar, the seal of the College, and the date of the signature. An unofficial transcript may be on official transcript paper but will not have the above mentioned requirements on the document. Official transcripts will not be released for students/former students with outstanding financial obligations to the College. Transcripts from high schools, other colleges, or universities that have been sent to NCC for the student’s file will not be copied and released. Copies need to be obtained directly from the institution of origin.